Here are just some of the memories from Ham Holiday in Oklahoma City this year. 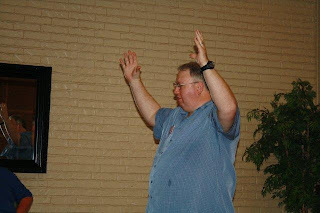 KE5TGZ holds up your sign at Ham Holiday. K5FRI was one of the Happy Sellers on the trading floor at Ham Holiday. Do you know how to send a radiogram? KE5LTA will help you. The QCWA group learned about the document that established Chapter 63. AB5FS, W5UGM, K5MRK, N5MJ, W5AI, and KA5CNT were there. More from the Trading Floor at Ham Holiday. The event would not be what it was without support staff to help with the drawing. N0IRW gets some moral support from N5OK. I'll give you $9.95 but you have to do the assembly! This was the second trading floor at Ham Holiday. Another shot of those attending the ARRL Forum at Ham Holiday. N5AUS discusses League progress and goals with those attending Ham Holiday. Thanks to Eddie Manley, K5EMS, for these photos. 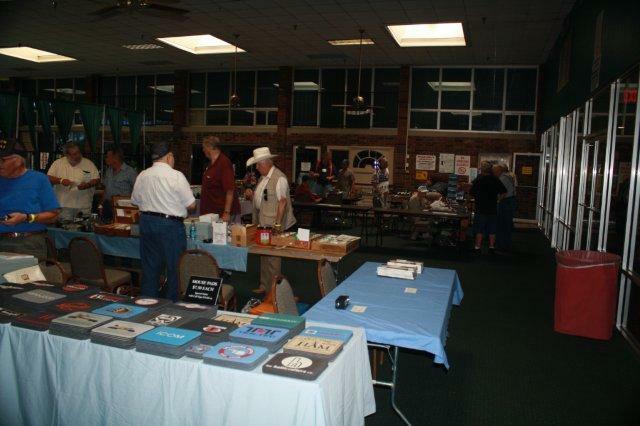 These are just a few of the ways Oklahoma hams are staying connected and information to the public about what amateur radio in Oklahoma is doing. KAITLYN COLE, KS3P, NAMED 2011 AMATEUR RADIO NEWSLINE™ "YOUNG HAM OF THE YEAR"
(Santa Clarita, California) -- At age 11, Kaitlyn Cole, KS3P, of Harvest, Alabama, becomes the youngest person* ever to receive the Amateur Radio Newsline™ "Young Ham of the Year Award." But her lack of chronologic age is more than made up for by her selfless dedication to her community and the youth of Alabama through her chosen hobby/service of amateur radio. On April 27, 2011, the Huntsville, Alabama area, including the small community of Harvest, was hit by a series of destructive tornadoes. The severe weather took a heavy toll in lives lost and property damaged. Electrical service was out for over a week. Kaitlyn and her father immediately volunteered to help with amateur radio relief activities. Kaitlyn began by logging contacts and running errands, but in short order took on the role of Net Control Station, working for many days from 7:30 a.m. to 4:00 p.m. With cellular and wireline telephone coverage being spotty to non-existent, Kaitlyn's duties as Net Control involved dispatching amateur radio operators with chainsaws (and other rubble clearance machinery) and debris pickup teams. For her efforts, Kaitlyn received many compliments from veteran operators on the professionalism that she displayed during this crisis situation. Kaitlyn is also Assistant Section Manager for Youth Activities in the ARRL Alabama section. In this role, she visits many hamfests where she speaks to other young hams. Kaitlyn has also volunteered her services the past three years at the ARRL Expo Youth Lounge at the Dayton Hamvention© and ran a special event operation to honor the local Volunteer Fire Department in her hometown. A straight-A student entering sixth grade this fall, the 11-year old also enjoys home-brewing and construction, and has posted on YouTube a video of herself building a QRP transceiver (see http://www.youtube.com/watch?v=_SK55sbxOj4 and related videos). Kaitlyn hopes her videos will encourage others to pick up a soldering iron and enjoy one of the finest traditions of ham radio. The daughter of Stanley (NX3P) and Amy Cole, Kaitlyn joined the amateur radio fraternity at the tender age of 8. She passed her Technician exam in September 2009, her General in October 2009, and her Extra Class on January 3, 2011. Since then, Kaitlyn has participated in many amateur radio activities, with a special emphasis on the public service and youth activity aspects of the hobby. The 2011 Amateur Radio Newsline™ "Young Ham of the Year Award" will be presented on Saturday, August 20th at the Huntsville Hamfest in Huntsville, Alabama. As the 2011 "Young Ham of the Year," Kaitlyn will receive -- courtesy of Vertex-Standard -- an expense-paid trip to the Huntsville Hamfest, along with a gift of Yaesu brand ham radio equipment. CQ magazine will treat her to an expense-paid week at Spacecamp Huntsville, and will present Kaitlyn with a variety of CQ products. Amateur Radio Newsline™ will provide Kaitlyn with a commemorative plaque at the award ceremony. Once again, the cost of year's plaque has been underwritten by Dave Bell (W6AQ), President of DBA Entertainment Inc., Hollywood, California. Heil Sound Ltd. will also be presenting Kaitlyn with a ham radio related gift. This year's award ceremony will be hosted by Don Wilbanks, AE5DW, of Amateur Radio Newsline™, Rich Moseson, W2VU, and Chip Margelli, K7JA, of CQ Communications, along with representatives of corporate underwriters Vertex-Standard and Heil Sound. The Amateur Radio Newsline™ "Young Ham of the Year" award (formerly the Westlink Report Young Ham of the Year Award ) has been presented annually for the past 26 years to a licensed radio amateur (ham) who is 18 years of age or younger and who has provided outstanding service to the nation, his/her community or the betterment of the state of the art in communications through the amateur radio hobby/service. A website with full information on the award program and background material is located at http://www.arnewsline.org. 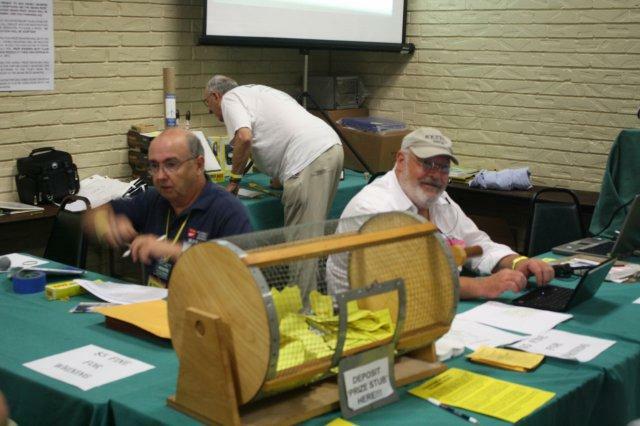 The award program is sponsored by the Los Angeles, California-based Amateur Radio Newsline™ with corporate support from Vertex-Standard Corporation of Cypress, California, CQ Magazine of Hicksville, New York, and Heil Sound of Fairview Heights, Illinois. Past recipients of the "ARNewsline Young Ham of the Year Award" include Shawn Alan Wakefield, WK5P, of Bartlesville, OK (1986); David Rosenman, KA9PMK, of Muncie, IN (1987); Jonathan Binstock, NK3D, of Potomac, MD (1988); Erin McGinnis, KAOWTE, of Topeka, KS (1989); Mary Alestra, KB2IGG, of Staten Island, NY (1990); Richard S. "Sammy" Garrett, AAOCR, of St. Louis, MO (1991); Angela (Angie) Fischer, KBOHXY, also of St. Louis (1992); Kevin Boudreaux, N5XMH, of New Orleans, LA (1993); Allison Daneen Zettwoch, KD4CKP, of Louisville KY (1994); Adam Weyhaupt, N9MEZ, of Alton IL (1995); Toby Metz, KB7UIM, of Boise ID (1996); Brian Mileshosky, N5ZGT, of Albuquerque NM (1997); Richard Paczkowski, Jr., KF4BIA, of Edgewater, FL (1998); Michelle Swann, KE4EZI, of Warner-Robins, GA (1999); Christopher Arthur, KT4XA, of Russelville, AL (2000); Patrick Clark, KC8BFD, of Elkwood, WV (2001); Josh Abramowicz, KB3GWY, of Reading, PA (2002); Jay Thompson, W6JAY, of Santa Ana, CA (2003); Andrea Hartlage, KB4IUM, of Grayson, GA (2004), Rebekah Dorff, WG4Y, of Hoover, AL (2005), Catherine Ferry, NC8F, of Streetville, OH. 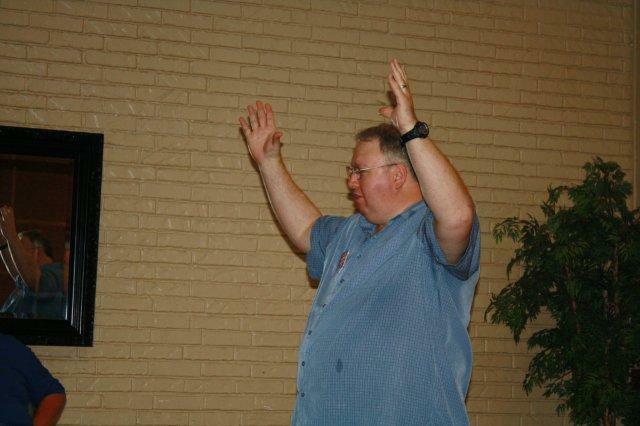 (2006), Grant Morine, W4GHM, of Wilmington, NC (2007), Emily Stewart, KC0PTL, of Leavenworth, KS. (2008), Andrew Koenig, KE5GDB of Houston, TX. (2009), Cody Anderson, KI4FUV, from Harriman, TN (2010). I've posted details of my tape rule antenna construction and successful APRS contact with a flyover of the International Space Station. I used our Logan County Scouting "club" callsign of WB5BSA and posted the url of www.troop850.com up there. Somewhere there a just a few bytes of us on the ISS. Hopefully my link works below. Google + is still new but offers better blog-like posts than what I could do with FaceBook. Let me know if you have trouble viewing. If so, here's the YouTube video of the experience with tips. A surprise contact was made during the encounter. Clayton Coleman W5PFG was on an OA campout near Palestine TX and sent us a message after recognizing our callsign. He was using a small radio and an arrow antenna along with a PC and typed a message which got back down to me. I didn't realize it until after the flyover was over. The text is on the video. We contacted each other by email and will be sending QSL cards. 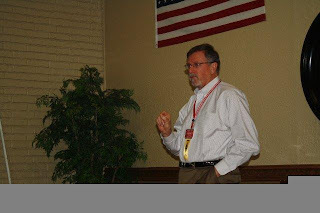 Thanks to Doug Cook, KD5PDN and Oscar Staudt, WB5GCX for details about this event. among amateur radio operators worldwide. Networking communications for the amateur radio service. organizations for HF communications around the world. for SSB (Single SideBand) voice and/or data modes. telephone. Nets of hams can be called up in the same way. Pre-arranged schedules or internet connections are not needed. about setting up ALE compatible radio stations. to help a friend get on the air with ALE. Use an ALE HF transceiver. Use your Ham HF SSB rig + computer + PCALE. Register your callsign and grid, to appear on the map. Or enter as "Guest" for instant chat. as they happen during the event. Do you have an interesting ham radio story to tell? Cindy Downes K5CED is a freelance writer looking for ham radio operators who are members of Electric Cooperatives of Oklahoma and who have an interested story to tell related to ham radio. How do you use ham radio? Have you been involved in disaster relief? 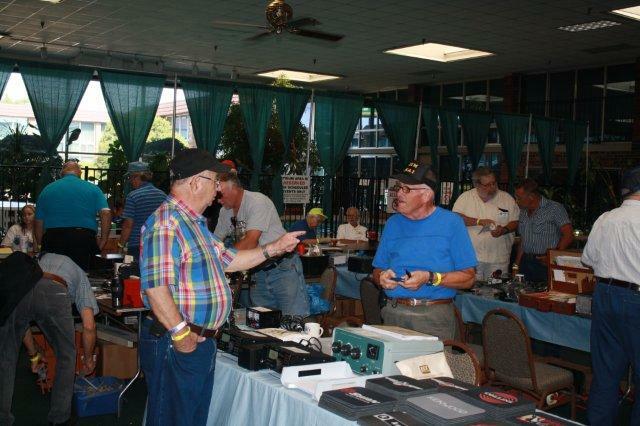 Have you used your ham radio in any event that was newsworthy? Have you done anything cutting edge with your radio? Unique? Saved money? Provided jobs? Helped the economy? Preserved the environment? Educated children? Anything else related to ham radio that you think might interest readers? If so, please send an email to Cindy. In your email, please provide your name, phone number, name of the Oklahoma electric cooperative in which you are a member, and a little bit about your adventures in ham radio. If selected, Cindy will set up an interview and photo shoot with you, write the article and submit it to Oklahoma Living Magazine for possible publication. Note: If you're not a member of the electric co-op and have an interesting story related to ham radio, email Cindy anyway. She'll pitch it to another magazine. and can easily be printed off and added to a member’s copy of the plan. are required to submit there monthly reports on or before the first day of every month. compiles and submits his report to the SM and ARRL HQ by the tenth of each month. each of the six zones are planning for a meeting together once a quarter. ARES-OK Senior Leadership at Oklahoma City for planning meeting. Back row left to right: Duane Henderson KC5NID ASM Zone1, Kevin O’Dell K0IRW SM, Mark Conklin N7XYO SEC, Charles Goodson KC5UEG ASEC, Floyd Grant NV5N ZEC4, Kenny Orr KC5ZDQ ZEC3. Front row left to right: Larry Goodwin K5LHG Zone1, Stephen Grayson KE5BPL ZEC2, Roland Stolfa KC5UNL ASEC-IT Manager, Ben Joplin WB5VST ZEC5. What is an OES (Official Emergency Station)... and how does is fit with ARES-OK? With in the ARES-OK state EmComm plan (under revision and should be released sometime this fall) OES will be appointed at the District and the County level. Other applications for this role will be developed as ARES-OK grows and develops. The primary responsibilities and focus of the OES will be as a liaison* between local ARES-OK nets and NTS nets. Amateur operators may be appointed as an Official Emergency Station (OES) by their Section Emergency Coordinator (SEC) or Section Manager (SM) at the recommendation of theEC, or DEC (if no EC) holding jurisdiction. The OES appointee must be an ARRL member and set high standards of emergency preparedness and operating. The OES appointee makes a deeper commitment to the ARES program in terms of functionality than does the rank-and-file ARES registrant. *LIAISON--Responsible for specific, pre-determined liaison responsibilities as assigned by the presiding EC or DEC. Examples include: Maintaining contact with assigned served agencies; Maintaining liaison with specified NTS nets; Maintaining liaison with ARES officials in adjacent jurisdictions; Liaison with mutual assistance or "jump" teams. Official Emergency Stations are encouraged to earn certification in Level 1of the ARRL Emergency Communications Course. Tulsa Repeater Organization (TRO) is sponsoring an amateur radio license exam session at 6:45 pm, on July 21, 2011, at American Red Cross Tulsa Chapter, 10151 E. 11th ST, Tulsa, OK. Check with Security for room number. Walk-ins allowed. Contact Merlin E. Griffin, 918.520.7668 or wb5osm@hotmail.com for questions or more information. Pink HAMsters is having its first, monthly, dinner fellowship at 6:00 pm on Thursday, July 28th, at Panera Bread, 81st and Aspen in Broken Arrow, OK. For more information, see the Pink HAMsters Blog. 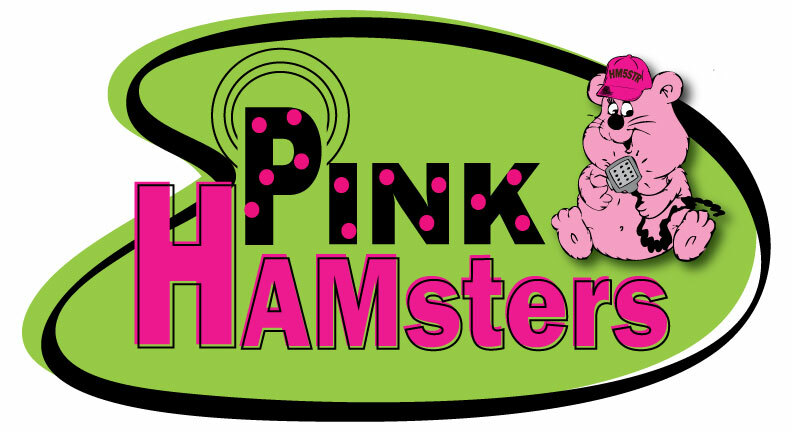 Pink HAMsters, founded by Cindy Downes K5CED, is ham radio from a feminine perspective. 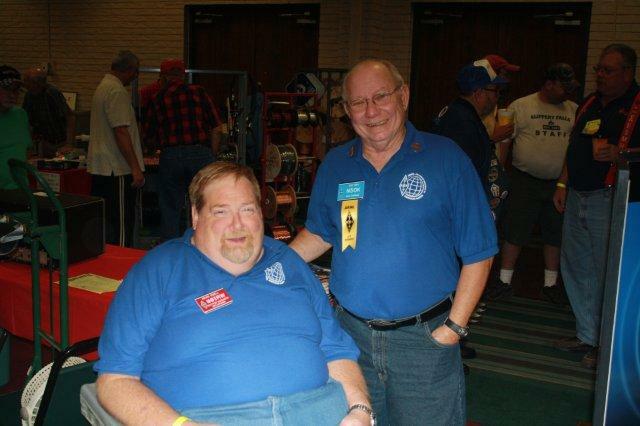 The members get together on ham radio, online and in person. All are welcome. Woolweaver and Vice Director Stratton exercised that privilege. contacts were made providing many amateurs with their first W1AW QSO. wide spaced 20 meter beam at 120 feet. operating hours will allow more amateurs to make contact with W1AW. posted to Twitter and Facebook. See below for contact information. title and now he does!" reported Director Woolweaver. by the Austin ARC and Texas VHF-FM Society, August 5-6th. Are you looking for a fast track to get your Technician's license? 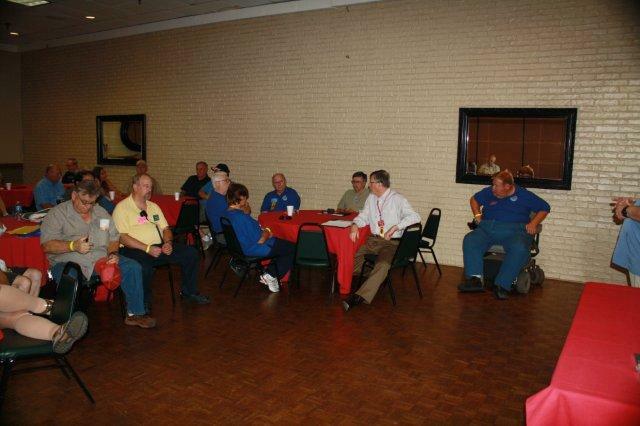 There will be a Ham Cram conducted in Elk City, OK, at 8:30 a.m. on July 9, at the Elks Lodge, 108 Blue Ridge Rd. A test session will follow. The cost is $30. for books and materials. 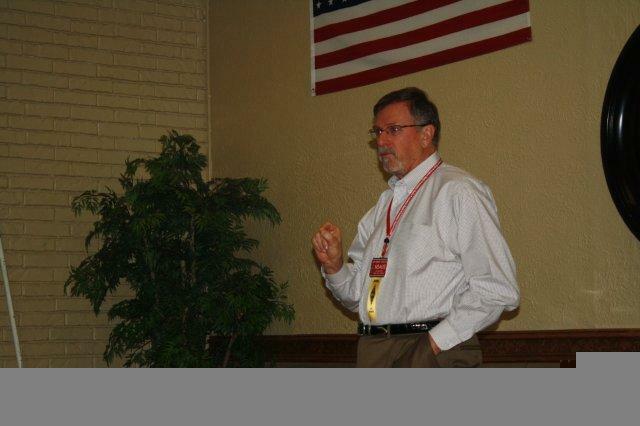 Contact Gary Woodrow, KB5BSA, 580- 210- 9271 for info. If you can't attend that session, here's a link to a powerpoint one-day HAM CRAM. You'll have to set up your own appointment for testing. return as well. The notice of this webinar is listed below. and response, you are invited to attend this online presentation. hosted a crowd pleasing forum on Antenna Restrictions. job of managing the convention Talk-In frequencies. involved are at home and are recovering. service to their communities. Please be safe out there. that Kathy shared her sandwich with me. before the sun went down and it started to get kind of chilly. generically. Sometimes it is simply shortened to Radio in the Park. stocked full of great people. A perfect storm as you will. pavilions. This is through the support of our Mayor Mr. John Monaco. that bring visitors in as well. lifelong path of exploration, discovery and learning. regard to staff management and monitoring investment of ARRL funds. activities and the Field Organization. Assistant Director called the Special Service Assistant Director. provide information and updates to the Director and Vice Director." Mayfield, KE5SOO, as the new Assistant Director for Club Activities. Association and as the NTX Section Emergency Coordinator.